More frugal living tips from A Wandaful Thing…. Ever since Mylo the kitty cat joined the family I’ve had to come up with ways to deal with cat hair. Don’t throw away your used paint rollers – you can use them to pick up pet hair...they don’t even need to be washed, just dry. If I use a cheap paint roller, when I am finished the job, I just throw it out without washing it – NOT ANYMORE!!! You will need the dry used paint roller, on the paint roller frame and some duct tape. Wrap the duct tape around the used roller sticky side out and roll over carpet, chairs, bedding, anything that has cat hair on it that needs to be removed. If you don’t have a used paint roller or duct tape a rubber glove or an old squeegie (like the ones you can buy at IKEA) work quite well. I find it lifts the cat hair that is left behind even after vacuuming. One of my other favorite frugal living tips that I have been using since the beginning of time I started baking many years ago is to save butter or margarine wrappers to use to grease pans. Any extras I slip into a ziploc bag and keep in the freezer until needed. Don’t pay for convenience. Grocery stores put a huge markup on items that are prepared in any way. sliced fruit and vegetables, precut or seasoned meat, bottled water, bakery products. You can cut and season food on your own with minimal time and effort, and you keep the savings in your pocket. If you are a tea drinker stop buying your daily cup at Tim Horton’s or Starbucks (or wherever you normally go). I buy my tea bags in bulk at Costco – I bought 300 bags for $7.79 today (there was a 3.00 off coupon), that equals 2.5 cents per cup, that’s a pretty good daily savings and if you add that up over the course of a week, a month, a year, you’ll be surprised at how much you will save. 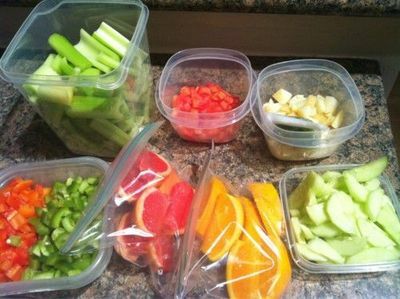 Brown bag it at work – make and bring your own lunch, it will be healthier and you will save money!!! Give up cable TV– we did this but kept the internet and we use Netflix. It’s not always first run stuff, but there is always something you can find to watch and it’s pretty cheap for all that entertainment. Recycle Christmas and any other cards that you receive. My favorite thing to do is make gift tags. 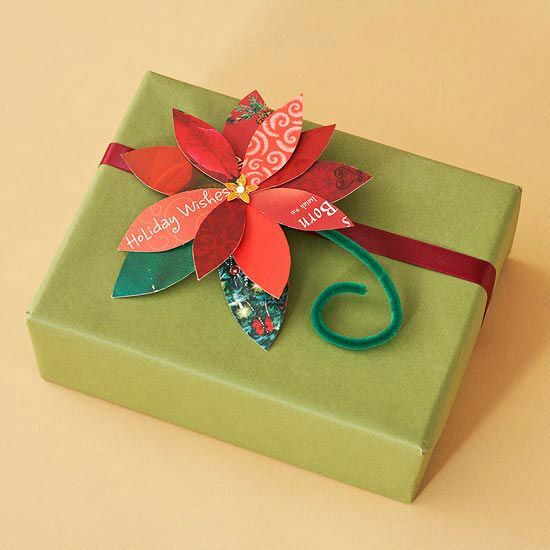 You can use any part of the card that hasn’t been written on, cut out a tag shape and punch a hole and add ribbon or string. 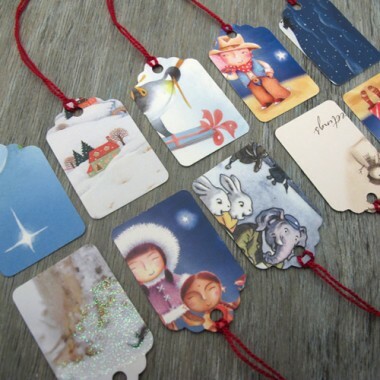 Used cards can also be made into lovely gift embellishments. Buy secondhand whenever possible check Craigslist, Kijiji or your local thrift store for used furniture, used appliances, used clothing and electronics. It is an excellent way to save money and you can get deals on just about anything! Use the library. I can’t stress this enough. Let me say it again. Use The Library. You’ll be amazed at what is available to you via your local public library. You can borrow books, CD’s, DVD’s and magazines AND if you borrow from the library versus purchasing it, that’s one less thing you have to find a home for and organize. Frugal living can be A Wandaful Thing! This entry was posted in DIY and tagged crafts, DIY, easy, frugal, library, living, living tips, repurpose, reuse, self-help, simple. Bookmark the permalink.